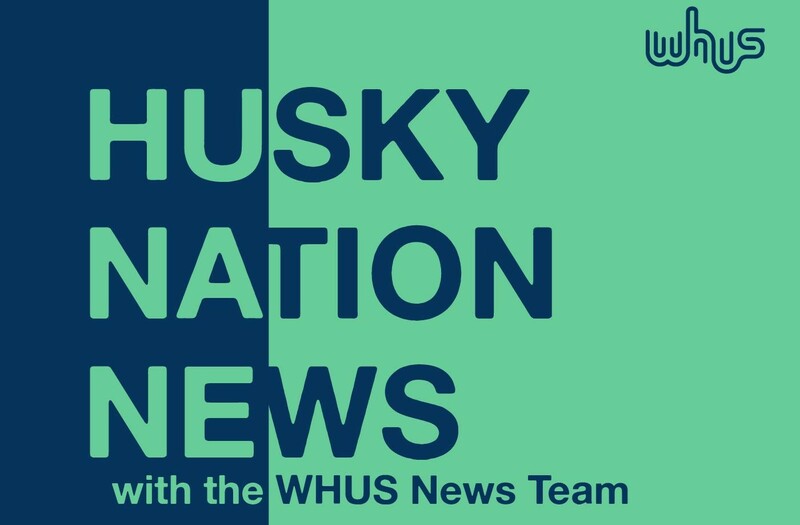 The rock was painted a vibrant orange with the words “We Hear You UConn” painted in a bright, contrasting blue. 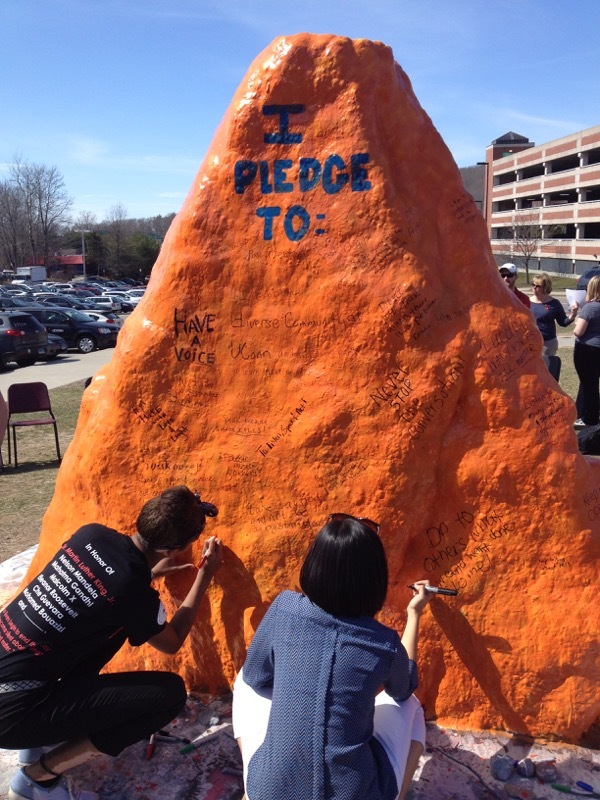 On the other side of the rock students were encouraged to make a personal pledge and write on the rock in sharpie. Chairs were assembled around the rock, with every two chairs facing each other to facilitate one-on-one conversations. 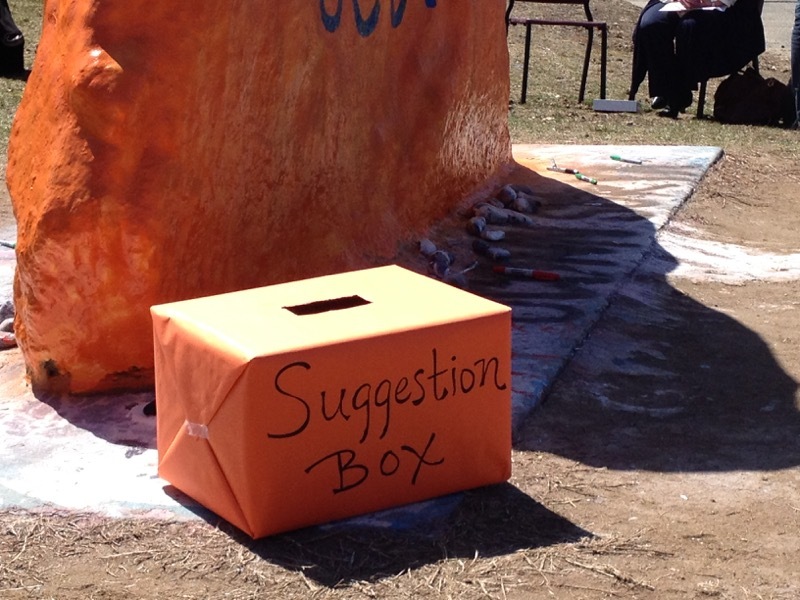 A box was placed at the base of the rock for students to share their ideas and suggestions. Orange ribbons were distributed to students, to demonstrate a commitment to inclusion on campus.